Masa Haru Kozuka - Mito? I have this Kozuka signed Masa Haru which is similar to the Kozuka presented in "the Arts of the Japanese Sword" of B.W. Robinson plate 81. 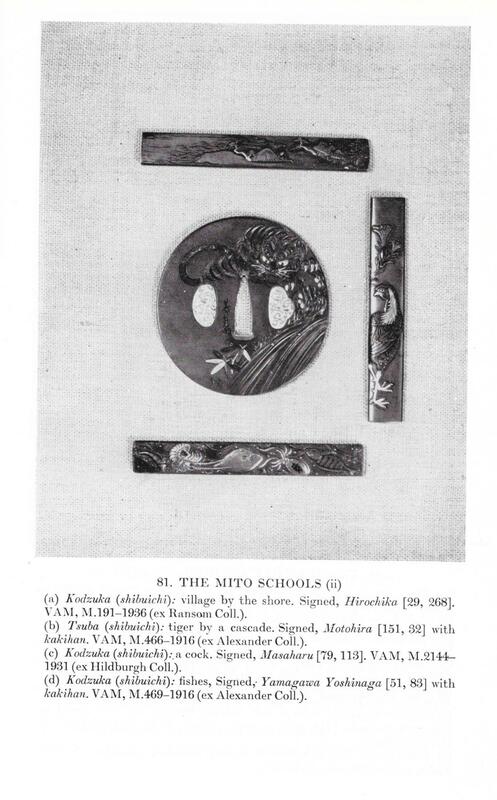 It is mentioned that it is from Mito school. 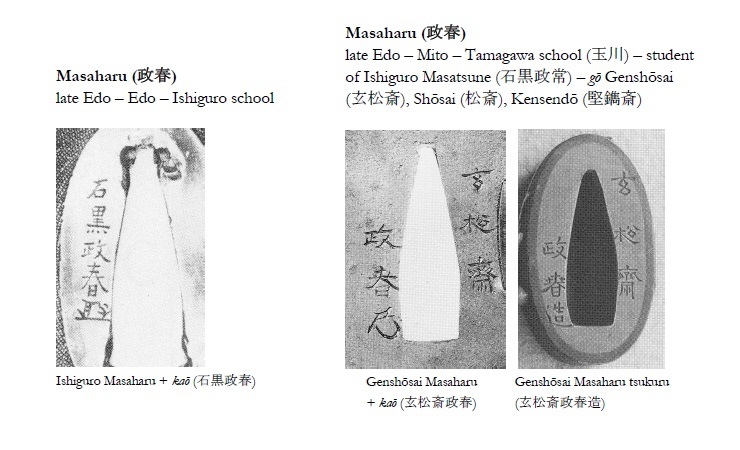 There are so many Masa Haru artists with the same Kanji....Would it be the Soiken Masaharu Haynes H03925.0? Does some one have tosogu pictures of this artist? Bruno, the work speaks for itself, very fine! Have you searched the VAM website, some info should be availble there, or you could contact them, you have the accession/cat. no.? I fully support this idea of a wrong attribution in this book. This kozuka has no elements which might bring to a Mito classification. I' ll dig in my research in the Ishiguro direction from now.Thank you for the information. Taking advantage of Steven good advise, I have check if this kozuka was on the Victoria and Albert Museum Website. Under the reference M.2144-1931 (Reference I got from the Arts of the Japanese Sword" of B.W. Robinson plate 81,) unfortunately there is no picture..... but the description is now ISHIGURO school (https://collections....464344/kozuka/)... Kyle's opinion was in the right direction... Thank you both of you.